On January 8th a gunman opened fire on a congresswoman, hitting her and 12 others at an event in Tucson, Arizona. The gunman killed six people, including a US federal judge and a 9-year-old child. 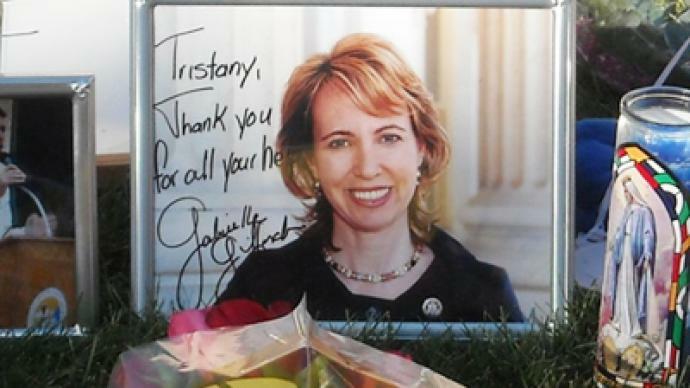 Congresswoman Gabrielle Giffords and a number of others remain in serious or critical condition in a local hospital. The congresswoman was shot in the head from point blank range, but surgeons are optimistic about her recovery. The incident has reignited the gun debate in America, with many asking whether or not the American gun crazed culture is to blame. The US leads the world in gun ownership, with 90 guns per 100 people. Gun ownership and gun rights are one of, if not the most, talked about political issues. As a nation, the US falls far behind other developed nations in curtailing gun violence and gun related deaths. Over 30,000 Americas die annually due to gun violence and an estimated 200,000 more are injured. David Swanson, the author of "War is a lie" said the problem is a question of American culture. The ongoing war climate and continual attack nature is not a positive influence on the American psyche. Swanson explained that American policy internationally reflects downward onto American society as a whole and that in the current climate of economic disperse and inequality, the mentality of the nation is even more fragile. “And, because we make guns so readily available the violence is more deadly. It’s an incredibly destructive state,” he explained. 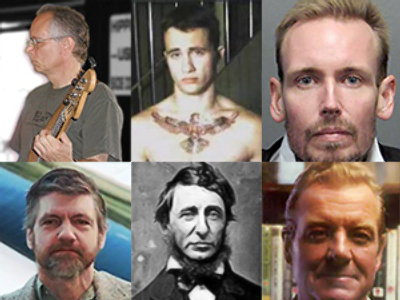 Andy Worthington, a journalist and historian from the UK, explained that, as an outside observer, he and many Brits often wonder why America has yet to implement further controls on guns following a number of school shootings and other violent tragedies. “We’re certainly looking on and going surely this time around the American people are going to say, we need to have some sort of control on this, and yet it never happens,” Worthington commented. Blogger and filmmaker Danny Schechter noted that had congressional Republicans not allowed a ban on assault weapons to lapse in 2004 the weapon used in the attack would not have been available for purchase. In America access to guns is relatively easy; however the security state is keen on confiscating shampoo at security checkpoints in US airports. Swanson explained there is an ongoing overtone of violence and Americans have become conditioned by war; all Americans are affected. “Through the war machine we are educating people; through our criminal justice system and the death penalty we’re educating people through everything that our government does to handle problems and through everything that Hollywood movies tell us solve problems, we’re teaching people that violence is the answer, and of course, it isn’t,” he said. Many have blamed violent and hate fueled political rhetoric for contributing to the problem. The US media, as a part of the political conversation, is keen to argue they are not a part of the problem, just a messenger. He added; “They do have an impact. There have been a lot of studies about how the coarseness on TV encourages the sort of bullying that takes place in our schools and the violence in our communities. Whether it’s gangster rap or Hollywood violent movies, people tend to see, monkey see monkey do. Swanson argued that under US law and international treaties there need to be a greater criminalization of speech that incites hostility and violence. And Worthington noted that in the US right wing media outlets often spread dangerous messages. “It’s dangerous, it ought to be illegal,” argued Worthington. Kevin Powell, the author of the book “Open letters to America” said Arizona alone is not the problem, Americans are the problem. However, radio host Adam Kokesh said the problem is too many people view this incident as political, when it is not. The issue at hand is one of mental health, not politics and not guns, he argued. “Everything is political,” Powell contended. Although mental issues are important, the mere fact guns are so easily accessible to those with mental issues is a problem and should be discussed, argued Powell. It’s not just about guns, argued Kokesh. Guns are just a mechanism. Focusing the conversation on guns loses sight of the real issues. “He could have easily as just of gone to Wal-Mart and bought rat poisoning and poisoned a bunch of people and killed them with their food or water or some other thing. He could have gone and chocked a bunch of people one at a time,” Kokesh said. But, he used a gun, that’s the point, argued Powell.